When you open your online business, you can start small and be contented with few features and simple systems initially. This way, you let yourself focus on your goals, which is generating sales to use in running your business. While it is tempting to include so many features right away, but spending money shouldn’t be your priority. So adopt simple systems first in order to gather inputs from your intended market. When you are ready, it’s the time to move on to more complex solutions and see your profit grow. Remember, it’s not craziness to test the waters when beginning. Or else, you’ll just see breaking your own limbs just to survive. By this time of your search, you must already be familiar with what ecommerce means, its types, and what it can do for your business. Today, Internet shops are racking up sales after sales for many companies whose presence have been established online. What this proves is that many people are already using the Web for buying products and services that they want and need. Hence, technology may change but the market surely will not. Among the known benefits that the internet can give is flexibility and scalability. This means you can adjust or change whatever it is that you want – from your own business process to your business structure and approaches to sales and marketing. 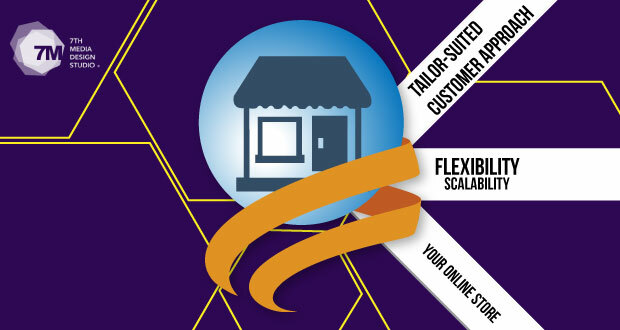 With your web store, you can tailor-suit your approach from customer to customer. 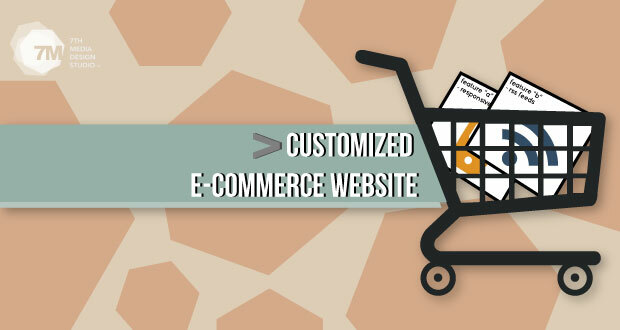 There are useful programs that can let you customize your ecommerce web design. The new rules of engagement of online business are giving small businesses more ability to compete. Simply, this got to o with the ability of ecommerce in leveling the playing field among small and large-sized businesses. One sure advantages that small business ventures had over big and large businesses include the ability of the former to offer more personal and interactive user experience. How much more if you have settled for either custom-made ecommerce or software with features that are easy to maintain. So if you are looking for a good ecommerce web design solution, ask your developers or check your ecommerce theme packages if marketing features are available. Often, these should include support for search engine optimization, social media integration, affiliate marketing, pay-per-click advertising and more. Some well-made ecommerce solutions are bundled with a more simplified online credit card payments. This can be a very big help for those with only average technical know-how of building online web commerce sites. There are today a plethora of ecommerce software solutions that you can download and install yourself, as well as plug-ins for content management systems. But choosing is tricky, so you must carefully set aside the essential to the ideal features in order to buy only the solution that fits your needs. The popular Magento ecommerce design is one of the more popular open-source ecommerce applications. OsCommerce application is another open-source CMS available in the market that offers features that suit most business types. However, some of these ecommerce system solutions – while allowing you to change the look and feel – can quite compromise your site because these applications enforce their website design. Never ignore the importance of the availability of support. While most open-source products offer a community forum, others do not and may no longer be active. Look also for frequency of upgrades, which is important in determining support availability. For many business owners, one option is to get their ecommerce website custom-designed. The transition to this go-to choice is prompted by many businesses’ goals of setting themselves apart from their rivals. 1. Reporting must be unique. There’s one important aspect of ecommerce that shouldn’t be left out – tracking of user information – in order to serve customers the best way possible. Customer satisfaction is key to greater Internet revenue and by customizing your ecommerce site, you are in a far greater chance of reaching your goals. Shipping and payment methods information must be tracked very efficiently and can very critically addressed by customized web commerce site than templates. 2. More and Better Features. Magento ecommerce templates can only offer you with few or limited features. Worst, some of these may not be suited with your present needs or context. The reason is simple – developers of Magento ecommerce platforms intend to make their systems universal. If you want more features, that means spending additional expense. With custom-made ecommerce website, chances are high you’ll get what you want. You also have more liberty to integrate as many features and more creativity to blend with your design choice. Here is something to convince those considering a custom-designed ecommerce website: marketing capabilities. Compared to ecommerce solutions being sold in the market, which already sport some pre-defined SEO readiness, custom developed web sites can further improve on search engine capabilities of the website. In the end, it’s our hope we have enlightened you with some of the salient matters to consider when preparing to make a splash on the internet with your branded store. Your choice between pre-defined solutions (e.g., Magento ecommerce themes) and customized ecommerce website will largely be determined by your goals, purpose, priorities and budget. While both options can be very excellent in helping you merchandize your products and services, there are added advantages offered by deciding to customize ecommerce website design. How about you? Let us know your thoughts. If your designing is not good then you have to face many problems while you promote your site. Designing is very important. Recenty i got my ecommerce website from customized Sakshay. It has helped a lot in increasing my sales and also my social presence. Very nice post. I just stumbled upon your weblog and wished to mention that I've really enjoyed browsing your blog posts. After all I will be subscribing to your feed and I'm hoping you write once more soon!